Our very own Dr. Micha Freestone is helping coordinate this excellent 2 day course in TOE. Aimed at trainees in cardiology, cardiothoracics, anaesthesia, ITU and echocardiographers, it has the advantage of being very hands-on rather than just lectures. There is lots of exposure to simulators and workstations. Designed to suit both operators with limited or no experience, or as a refresher for slightly more experienced persons. Have a look at the flyer that has all the contact details for further information and booking. Nalyaka Sambu, Southampton based research fellow, has once again put together a great evening meeting on Monday, April 11th. For those of you that didn't get her recent email, you can still contact her to reserve your place. This course has BCS educational approval and is designed to closely match the core curriculum. 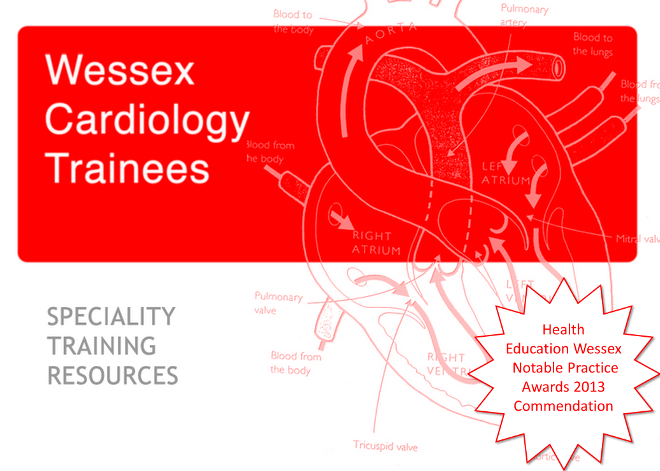 Organised on behalf of the British Cardiovascular Intervention Society Training and Education committee, this course is aimed at trainees who have completed their core cardiology training and are planning a career in interventional cardiology. There is no registration fee for this course but early registration is recommended. CPD accreditation has been applied for so please ensure you sign the attendance register on the day.